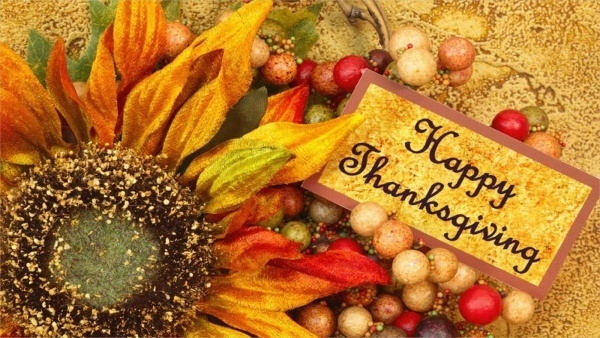 Thanksgiving is around the corner and there is the hassle of creating the perfect invitation card for your family and friends to invite them to an awesome thanksgiving dinner. These Free Wallpapers are innovative and available in high resolution to download. They are perfect for your every use, whether you want something upbeat to bring on a party mood or something formal for your office Party Invitations or wishes. Check them out and start making the best-customized card for your loved ones. This Thanksgiving wallpaper design is available in high-resolution. 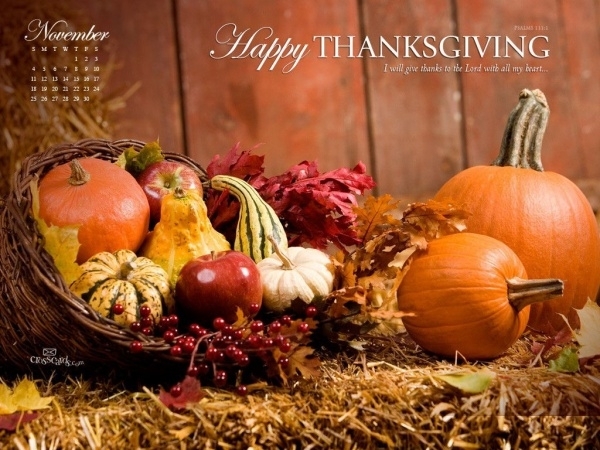 Real pictures of pumpkins and other harvested fruits and vegetables make the border, with stylish font saying ‘Happy Thanksgiving’ is given in the middle.You may also see Printable Thanksgiving Designs. 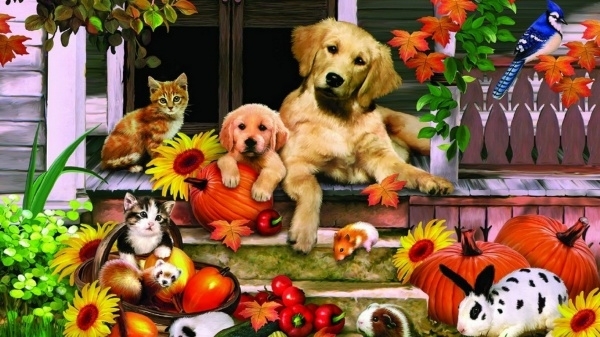 Celebrate this autumn with this cute wallpaper, of puppies and kittens and other farm animals placed on a porch front of a beautiful house. The colors are attractive and bright. You may also see Free Winter Wallpapers. 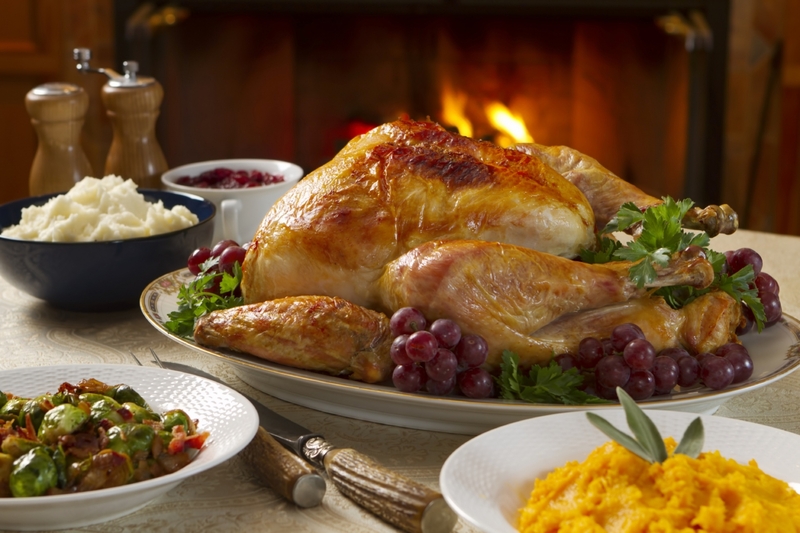 It is a set of a dinner table on Thanksgiving, in high-resolution. This tempting wallpaper has roast turkey, mashed potatoes, pumpkin and cranberry sauce, turning you on with this promise of a feast. 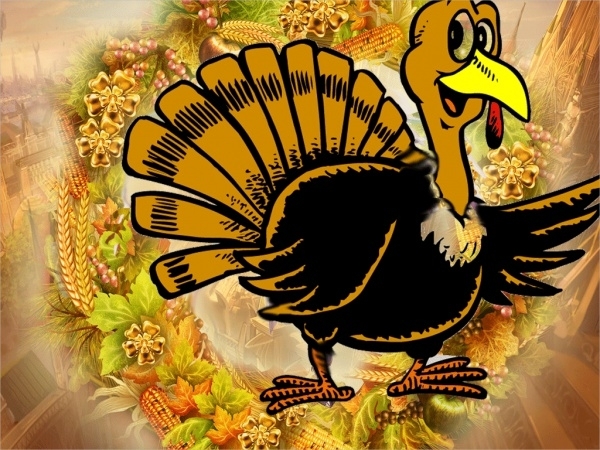 This free thanksgiving wallpaper has a large cartoon turkey placed on a background of a wreath made of corn and leaves. 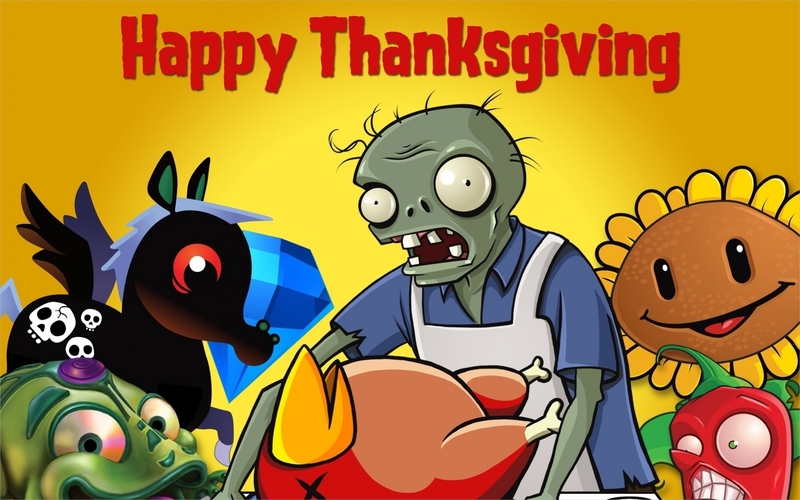 The happy thanksgiving wallpaper is inviting and friendly. You may also see Christmas Wallpapers. 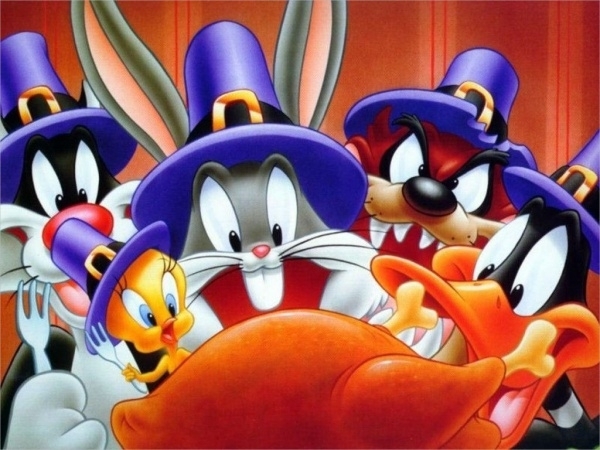 This dinner table scene of the Looney tunes is cute and colorful, with vivid colors that are bound to stay on your mind. The template is available in high-resolution and is in JPG format. How nice would it be, if you could spend your time in the countryside, a quiet life with family on festivals? 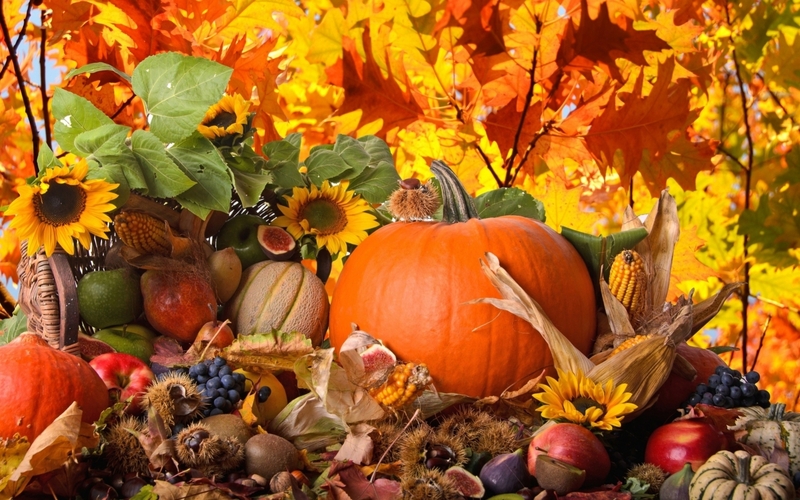 This wallpaper is just that, a bounty of food, vegetable, and fruits among the autumn leaves. 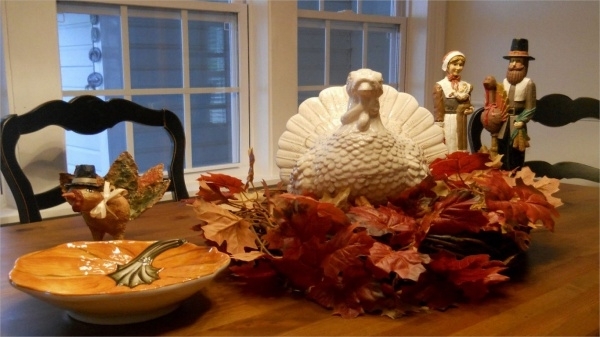 This wallpaper is a Thanksgiving related table centerpiece, where a large white turkey is placed in a nest made of bright colored leaves, with a village couple dolls next to it. This picture is available in high resolution. 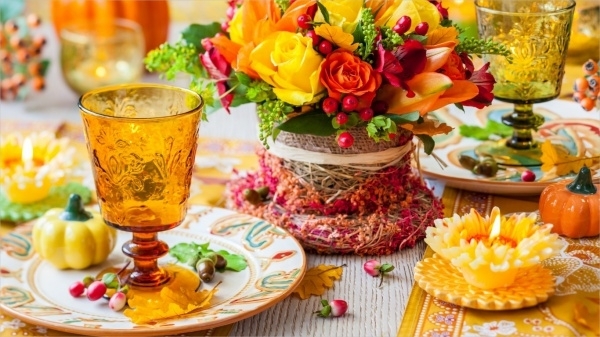 The colors and the design on this photographic dinner table setting are attractive and pretty. The elements in the picture are pretty and in complementing colors. This is available in high-resolution. This setting is of Thanksgiving food strewn on a farm setting is tempting and makes you think of the holidays. The colors used are attractive. 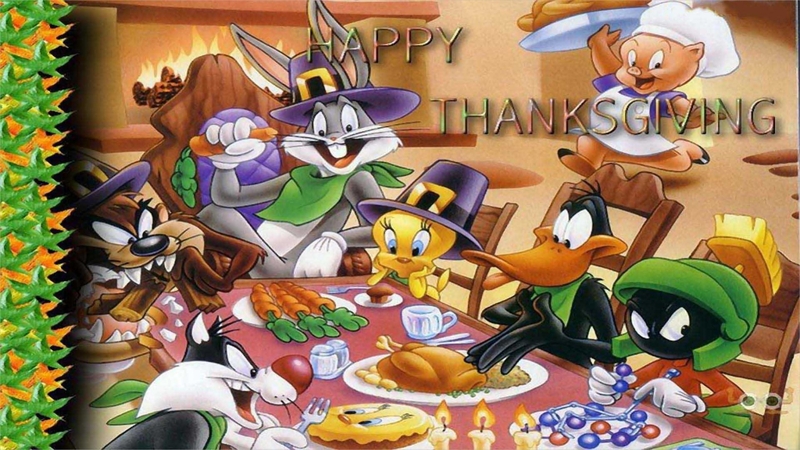 This cartoon wallpaper of a thanksgiving dinner table setting is made in a cartoon form, with clear details and colors. This template is set in a low light, and done beautifully, for invitation cards too. This wallpaper is pretty and colorful. 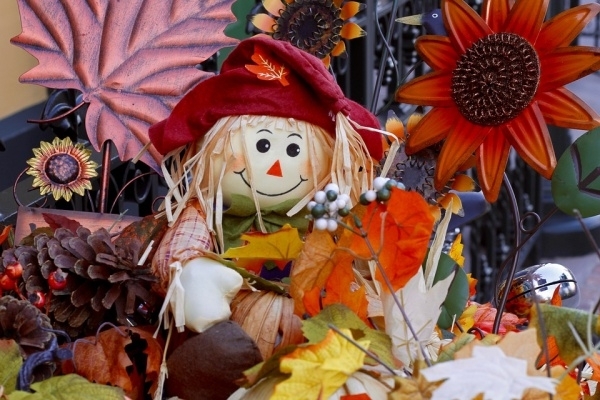 The happy straw doll is placed among autumn leaves and other decorative elements, in high resolution. This can be used as an invitation card too. This thanksgiving wallpapers for download are cute and attractive. The vector is clean and made with bright colors for using as wallpaper or even as an invitation card. This is available in JPG format. 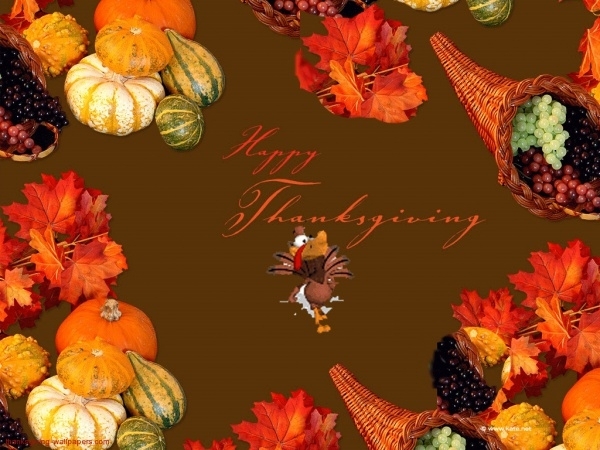 This abstract thanksgiving wallpaper design is modern and one of its kinds. 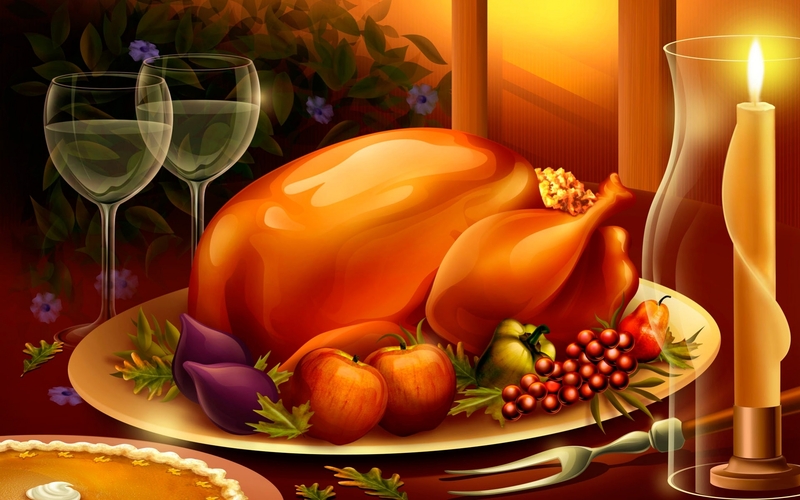 The cartoon elements of food and the turkey are colorful and attractive to the eye. This can be used for dinner invitations. 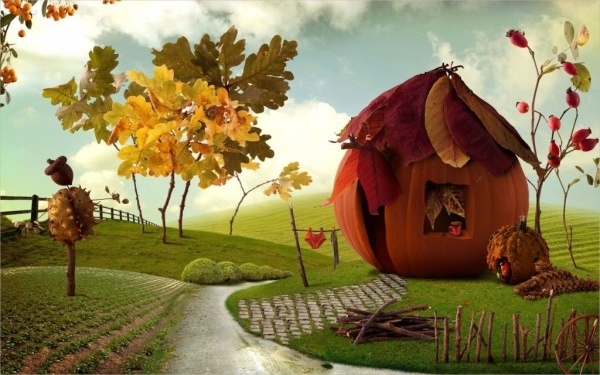 This thanksgiving wallpaper is beautiful and made with attractive colors. The elements in this picture are made using beads and cloth for the fried sunflower, looking modern. 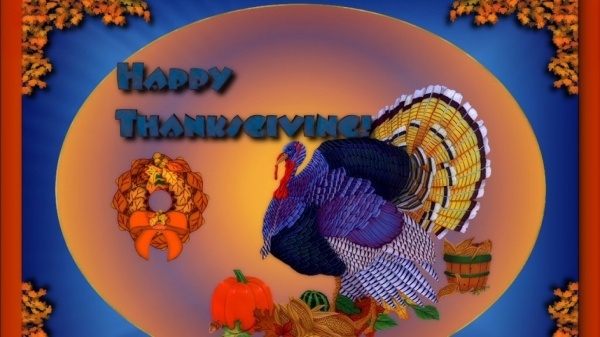 How to use these “Free Thanksgiving Wallpapers”? These set of wallpaper are completely free to use and so downloading process is pretty simple. These wallpapers can be used for desktops, tablets, mobiles etc, for both android and Apple users. Simply right-click on the image and select ‘save as’ to save it to your device. Some of these wallpapers have clear instructions on how to download a helper guide. Once it is downloaded, you can use them as wallpapers. If you like the looks of the wallpaper, you can even customize the wallpaper image with Photoshop and add your message to the picture to use it as a holiday card.You may also see Free Holiday Wallpapers. 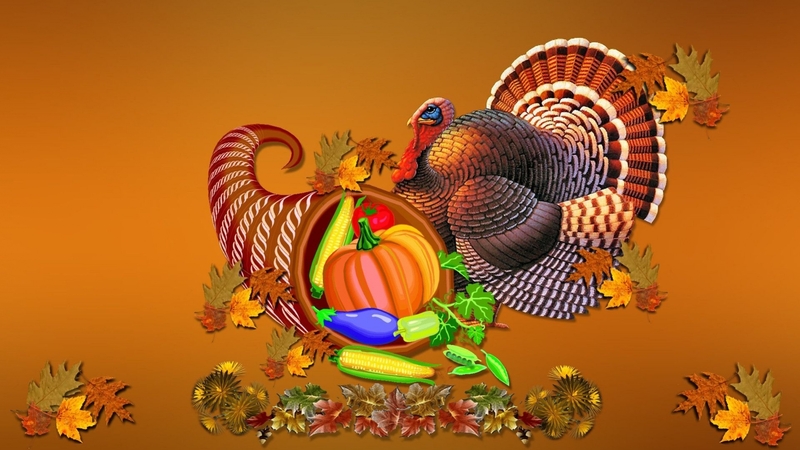 These set of free thanksgiving wallpapers to download are creative and beautiful to use. They can be edited and customized to suit your needs. Select the perfect card template for your friends or even for your colleagues back at work, and customize to give out your personal message. They are great to use for any occasions.